The Forest Service closed thousands of miles of road over the past decade. Horses and mules can still give certain hunters an advantage. But what if you aren’t in a position to own livestock and still want to hunt the areas around the closed roads? A great alternative, especially for scouting is a mountain bike. 1. Efficient, legal, quick and low maintenance access to closed roads. 3. Cheap. I’ve been using a bike for 5 years I bought used for $300. 1. Buy a hardtail so you can add a rack and panniers. This allows you to ride with a light pack while carrying extra food, clothes and water. If you need to hike, just transfer what you need for the hike to your pack. 2. Go slowly around blind corners in bear country. Carry bells for riding out after dark and attach to handle bars. Tragedy can strike quickly if you surprise a bear on your bike. This really happens. 3. 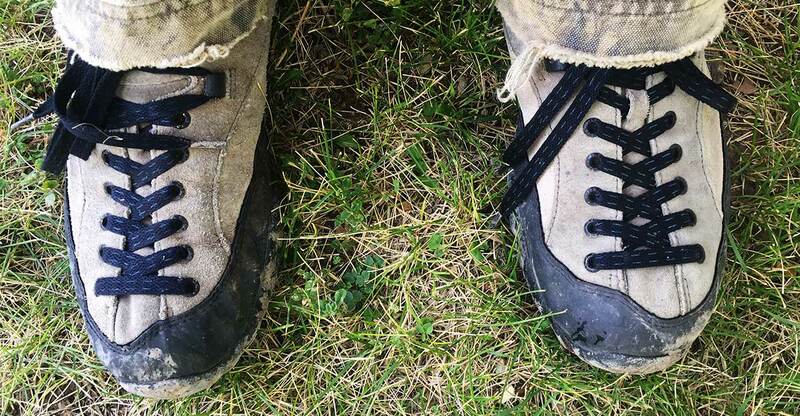 Hiking boots are bad for riding and mountain bike shoes are bad for hiking. Trail runners aren’t great because they absorb your downward push on the pedal and they get torn up off trail. I use a strange all leather moccasin from TEVA I found and it works pretty well for both. 4. Buy a gel seat cover. Most mountain bike seats are designed for use with padded shorts. You’ll extend your distance greatly with a $15 gel seat cover. Mountain bikes are great for scouting. I’ve had less success using them for actual hunting because they are noisy. If you want to use them for hunting, you can get a scabbard for the rack. Then just plan on using them to cover ground to get to your hunting area and hunt on foot from there. Consider keeping a trailer in your truck to haul out meat if you harvest. Again, trailers are also noisy so I don’t employ them until after the critter is down.